A few years ago, now-Chief Justice then-Nominee John Roberts invoked an umpire analogy during his confirmation hearings, explaining that “My job is to call balls and strikes and not to pitch or bat.” I love baseball, so I can appreciate any description that marries law and baseball. Let’s say you are in the midst of a serious competitive ballgame. You reach the seventh inning, the score is tied 3 to 3 (good pitching, lots of great defensive plays, maybe a solo home run, and a couple manufactured runs for your team—something for everyone). The umpires have called a good game, but they haven’t been perfect. You are the home team, so you go out to pitch in the top of the seventh inning. But instead of a batter coming up for the other team, the home plate umpire takes off his mask, grabs a bat and goes up to bat. Well, this is unexpected. Suddenly you are playing against the umpire? Okay, you are a good pitcher, you can handle it. It is odd, but life is about making adjustments. 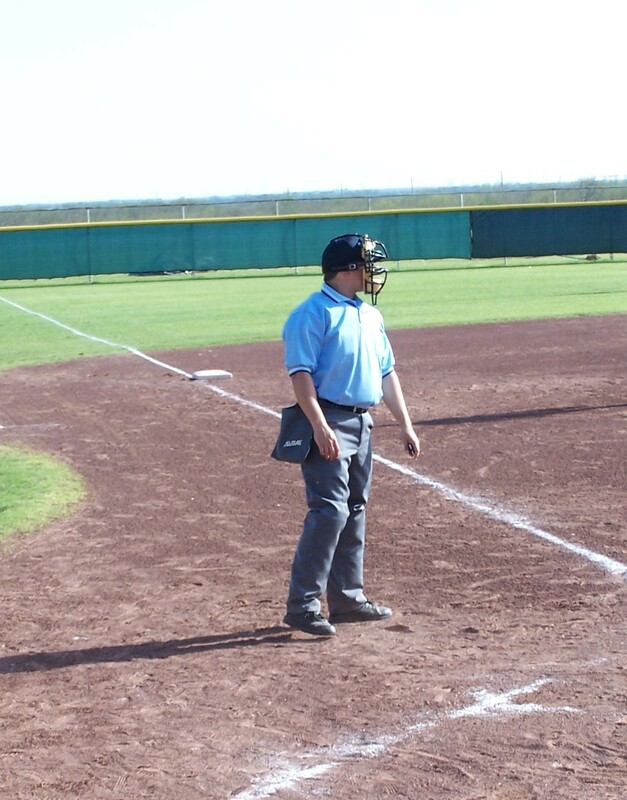 You wait for a new umpire, but the spot behind the catcher remains vacant. What is going on? You call a time-out and ask. After hearing the answer, you go back to the mound thinking “this is crazy.” The umpire is, indeed, now competing against you. But there isn’t a new umpire. The original umpire is still the umpire. He will still make the calls, while playing the game. Pitch one: A fastball right down the middle, an obvious strike. No swing. “Ball One,” you hear from behind the batter’s helmet. That doesn’t seem fair. But, you’ve seen worse calls, so you ready pitch two. Pitch two: A change-up over the plate. “Ball two.” Now, you are livid. Two strikes, but your hitter is calling the game, so you are behind in the count 2-0. This is the point where you start to ready your bean-ball pitch, but you smartly realize that if you throw at the hitter, the umpire, who is also the hitter, will probably throw you out of the game. Pitch three: Another fast-ball down the middle. You know he won’t swing. “Ball three.” The umpire-hitter then takes first base. “That was only ball three,” you yell at the foolish ump, who can’t count. You were initially angry, but you see that he made a fool of himself for not being able to count, so your anger subsides a little. You chuckle, while getting ready to throw another pitch. But then the umpire explains that not only does he still make the calls, but he can also change the rules during the game. So, at least for now, three balls not four balls is a walk. At this point, you let out a string of expletives, articulating that it isn’t really competition if the other side doesn’t have to follow the rules and can change them at will. So, that was half-way amusing, but what’s the point? This is exactly what happens to businesses that face the government as a market competitor. The state or local government-entity uses their governmental advantage during the competition and then often argues that the rules of competition, in the form of the antitrust laws, do not apply to them because of state-action immunity. We argue that state and local entities that want to compete in commercial markets should be subject to the antitrust laws, just like any other competitor. The state-action immunity doctrine, which exempts a limited set of state-sovereign activity from the antitrust laws, should not apply to market-participant conduct. Please read our article and let us know what you think. On a completely different topic, I want to thank all of the firefighters and other responders (including the military) in the San Diego area for their outstanding work in handling nearly a dozen major wildfires over the last couple days. My family was evacuated on Tuesday and major fires were both all around and upon our neighborhood, but they were able to save every house from the Bernardo Fire. Unfortunately, others have not been so lucky, with the more recent fires. It is clear, however, from watching the coverage over the past few days that they are outstanding at what they do. It isn’t just a matter of “see-fire, extinguish-fire,” but a complex task that requires an incredible amount of strategic coordination, analytical planning, and precise execution. It is always impressive watching people that are the best in their field and I have no doubt that is what we have had in San Diego County this week. Absent their amazing work, I probably wouldn’t have a home and the overall damage to America’s Finest City would be significantly worse. We in San Diego County owe them more than we can ever repay.